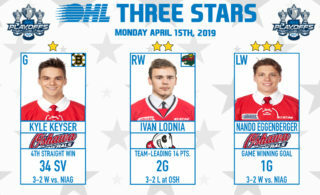 Niagara IceDogs (15-7-4-0 | 34 pts) vs Hamilton Bulldogs (13-13-1-0 | 27 pts) 2:00 pm. 1) The IceDogs are on the road this afternoon, visit the Bulldogs to close out their 3 in 4 weekend. 2) The K-9 Cup Challenge is tied at 1 win for each team, heading into game 3. 3) Robertson enters this game riding an 12-game point streak, with 12 goals and 18 assists (30 points). Collecting 12 points in the 4 games he has played as an IceDog. 4) Robertson leads the league with 26 goals scored this season. 10 of his goals have been scored on the powerplay, to lead the league. With one of his three goals on Friday coming with the man advantage, Kirill Maksimov ranks third in powerplay goals scored, with 8. Robertson has 50 points on the season, ranking 2nd in the league, only behind the Greyhounds’ Frost. 5) Phil Tomasino enters this game with two consecutive three-point games under his belt. 6) Starting goaltender, Stephen Dhillon, is expected to get the nod between the pipes tonight against the Bulldogs. He ranks 7th amongst all goalies in the league that have played at least 15 games this season, with a goals against average of 2.73, and save percentage of .916. Dhillon ranks 5th in the league with 13 wins this season. 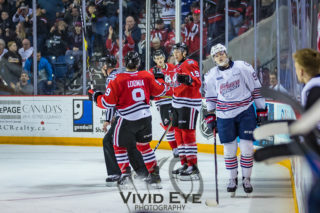 7) The IceDogs have the 11th ranked away powerplay, with 19.7% efficiency, and the 19th ranked away penalty kill, with an 69.0% efficiency rating. 8) The Bulldogs’ home power play ranks 8th with 24.1% efficiency, while their home penalty kill is ranked 14th with 79.6% efficiency. 9) Hamilton’s Brandon Saigeon ranks fifth in the league with 45 points on the season. 26 of his points have been assists to rank fourth in the league. 10) The IceDogs’ penalty kill need to be at the top of its game this afternoon, as Saigeon (13) and Kade Landry (12) are amongst the top in the league in powerplay assists. Today’s game will be broadcast live on YourTv, 610 CKTB, and OHL Live will be streaming the game online. 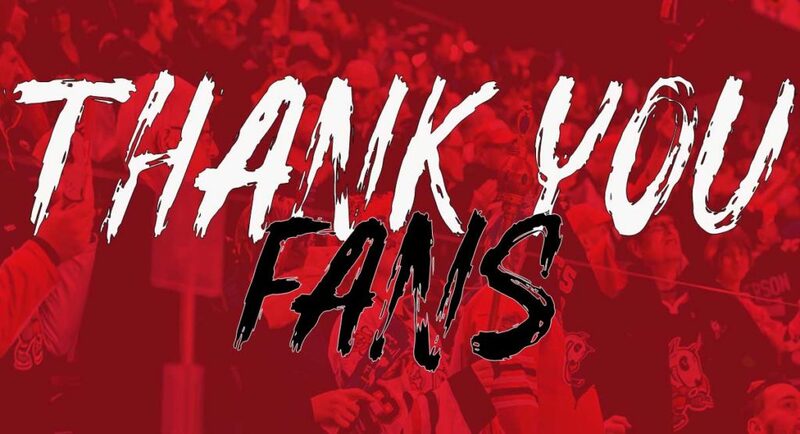 For all in-game updates, follow @OHLIceDogs on Twitter! After two away games this weekend, the ‘Dogs come back to town on Thursday December 6th against the Saginaw Spirit. Take advantage of our $10 Fall Thursday deal! For every Thursday night game in November and December, we are making hockey more easily accessible with $10 tickets in our Value section (sections 108-111). The next home game after, on Saturday December 8th, will be our annual Teddy Bear Toss! 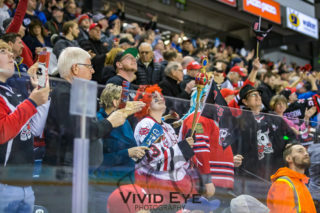 At this game against the North Bay Battalion, fans can bring new or gently used stuffed animals and throw them onto the ice when the ‘Dogs score their first goal of the game. The teddies will then be donated to the Niagara Regional Police Association and Victim Services.